Avoid polluting your home with harsh chemicals with the latest of our environmentally conscious products. Removes dirt, grease and grime. Odour free, solvent free, VOC free. Economical – add 2 capfuls of cleaner to every 5 litres of water. Specially formulated for laminate flooring – safe to use on all laminate, vinyl and lino surfaces. Incredibly simple to use – just add 2 capfuls of product to every 5 litres of water that you use. Begin by sweeping the floor with the dustpan and brush, being sure to sweep up dirt from corners and under appliances. 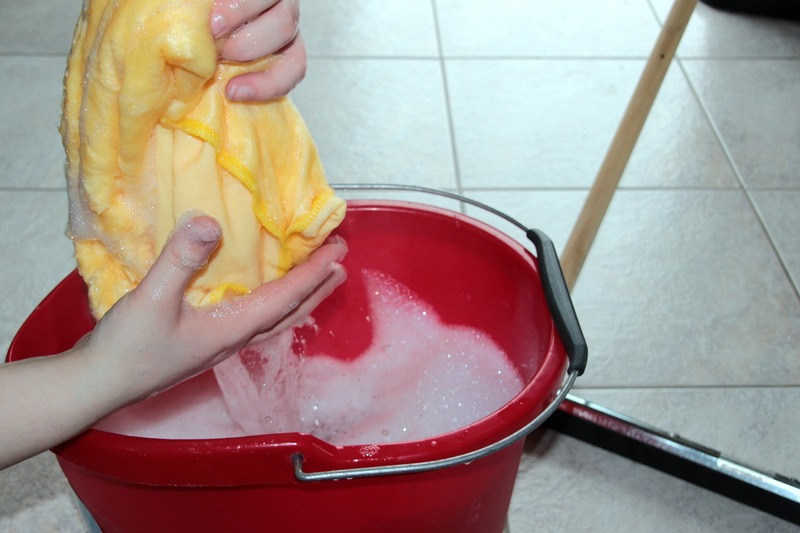 Use paper towels to clean up excess moisture. Allow the floor to dry completely. Make sure the floor is dry before resuming use.